This apartment is in South Whittier. Nearby parks include Parnell Park, Anaconda Park and Leffingwell Ranch Park. 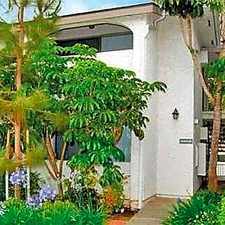 10640 COLIMA ROAD Apartments has a Walk Score of 36 out of 100. This location is a Car-Dependent neighborhood so most errands require a car. Wonderful Two Bedroom + Two Bath Unit on the 2nd Floor Close to Elevator -- AVAIL APRIL 13th - This apartment has a private balcony overlooking Colima Road, and is renting for ONLY $1650 per month. This rent includes ALL of the utilities EXCEPT for the electricity. In addition to all of the other amenities listed below, all of the maintenance and manager personnel live onsite for your convenience. Not only is the unit close to our front elevator, but it is also a corner unit for extra privacy. The floor plan for this unit has the living room in between the two bedrooms, and each bedroom has it's own bathroom. It is listed at 900 square feet; however, this is the walkable square footage, which doesn't include any of the closets or cabinets (of which there are many). Be advised that at this very reasonable price we do not expect it to stay on the market for long. Also, the current tenant is still living in the unit; so unfortunately, we can't show it to you. However, we do have a detailed floor plan for you. Plus, we are more than happy to give you a tour of the community and show you where the unit is located as well. Feel free to look at the attached photographs and then give us a call or stop by and you'll understand why you shouldn't live anywhere else. Explore how far you can travel by car, bus, bike and foot from 10640 COLIMA ROAD Apartments. 10640 COLIMA ROAD Apartments is in the city of South Whittier, CA. South Whittier has an average Walk Score of 47 and has 57,156 residents.